Out and about: Where are Putin’s favorite haunts? The Russian leader often keeps the public at arms length but he is sometimes seen with the rest of us mortals. His job is time consuming so he can’t always make it to the theater or his favorite restaurant. However, when he does have some down time, here’s where President Vladimir Putin likes to hang out. Russia’s leader is not a fan of attending TV entertainment shows as a headline guest - in the 18 years he’s been in power he’s avoided such situations at all costs. Instead, if the president feels like mixing with the Russian public he tends to go to the theater. 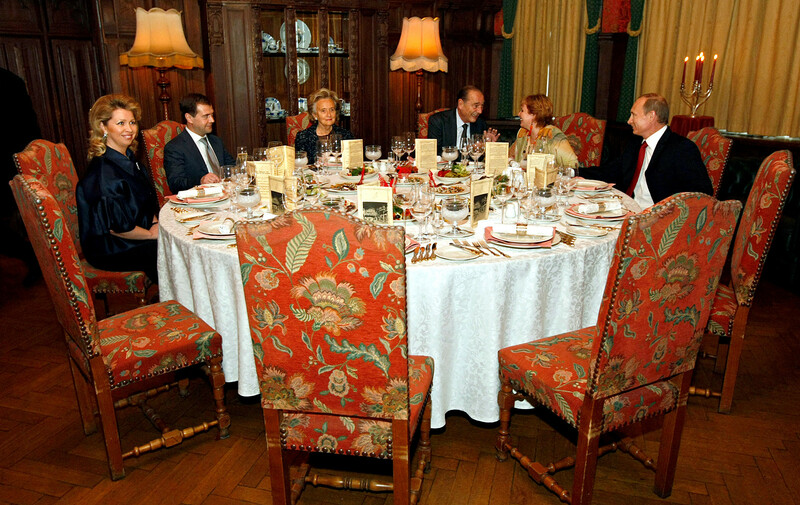 Putin often takes visiting foreign guests to the Moscow’s Bolshoi or St Petersburg’s Mariinsky. In 2000, Putin invited British Prime Minister Tony Blair and his wife to the premiere of Sergei Prokofiev's opera War and Peace at the Mariinsky. In 2016, he invited Israeli Prime Minister Benjamin Netanyahu to the Bolshoi to a joint concert with the Israeli Opera. 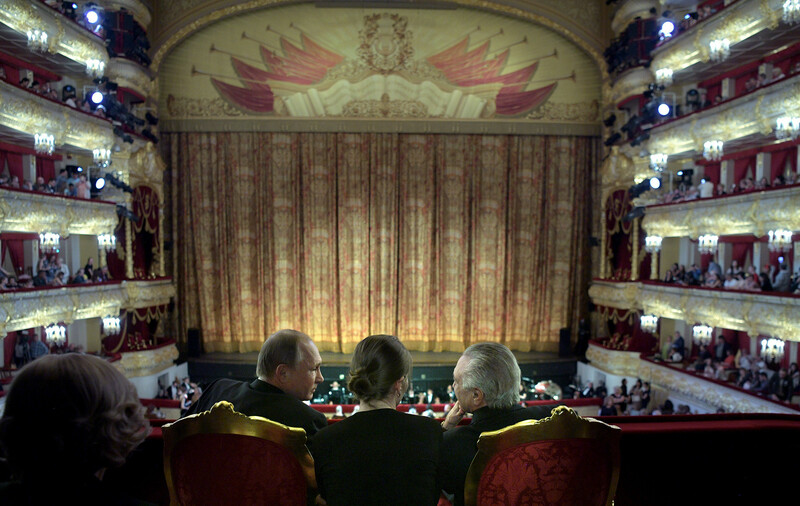 The Russian president has also been seen watching ballet in the Russian capital: Anyuta by Anton Chekhov. He’s not adverse to the smaller Russian theaters as well: Sovremennik, Et Cetera, and the Chekhov Moscow Art Theater (MKhT). Vladimir Putin and Brazil's President Michel Temer speak as they attend the concert by the winners of the XIII International Ballet Competition and Contest of Choreographers at The Bolshoi Theatre in Moscow on June 20, 2017. Sometimes Putin is so taken by a show he wants to see it again, but due to his busy schedule he sometimes can’t. He once saw Woe From Wit (a classic play by Alexander Griboyedov) at Sovremennik before planning to see it again at the Maly Theater - he couldn’t make it but his seat remained empty. In fact, on that night (Dec. 19, 2016) the Russian ambassador in Ankara - Andrei Karlov - was murdered. The president visited the Maly Theater four months later, but this time to see a play based on the work of another classic Russian author - The Last Victim by Alexander Ostrovsky. "I have always enjoyed and continuetolistening to popular classical music - both European and Russian. Bach, Beethoven, Mozart, of course. Among Russian composers, Rachmaninoff…Schubert arranged by Liszt," Putin once said. According to the Sobesednik newspaper, the president apparently likes Lyube (a Russian rock band), Grigory Leps, songs from Soviet movies, Soviet disco hits of his youth (the 1960s and early 1970s), and Gypsy music. For example, Tsyganskiy Dvor (Gypsy Yard) has performed in front of Putin on more than one occasion and even before George Bush Jr. during his visit to Russia. On itswebsite the group mentions "the state leaders of Russia, CIS, [and] many countries in Europe” among its admirers. Anyway, Putin seems to really like classical music too. According to the pro-Kremlin Komsomolskaya Pravdanewspaper, opera diva Anna Netrebko is Putin's favourite singer. The big man is rarely seen in art galleries and museums but Putin tries not to miss the big exhibitions. In February 2017 he visited the Tretyakov Gallery to see the exhibitions "Roma Aeterna. Masterpieces of the Vatican Pinacotheca" and "Byzantine Masterpieces." The former show sold out in two hours (30,000 tickets) with many of the paintings departing the Vatican for the first time ever to come to Moscow, thanks to Putin’s talks with Pope Francis back in 2015. The president’s interest was also spiked by another show in the Tretyakov, this time by Valentin Serov in 2016. After his visit, people queued in sub-zero temperatures for hours to get in. At one point, the crowd broke the gallery’s front door forcing it to suspend ticket sales. 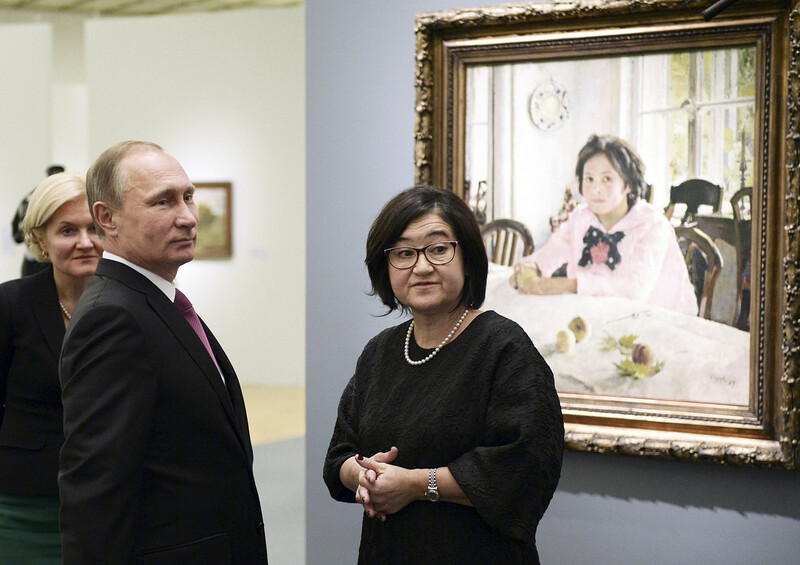 Vladimir Putin listens to director of the State Tretyakov Gallery Zelfira Tregulova as he visits an exhibition of artist Valentin Serov. "I rarely go to the cinema, I must admit. But I love good films," Putin once said. He sometimes watches patriotic Russian blockbusters that are brought to him for private viewing. The latest wasSalyut-7 about the operation to rescue a Soviet orbital station - half of the film was shot in of weightlessness for the first time in the history of cinema. 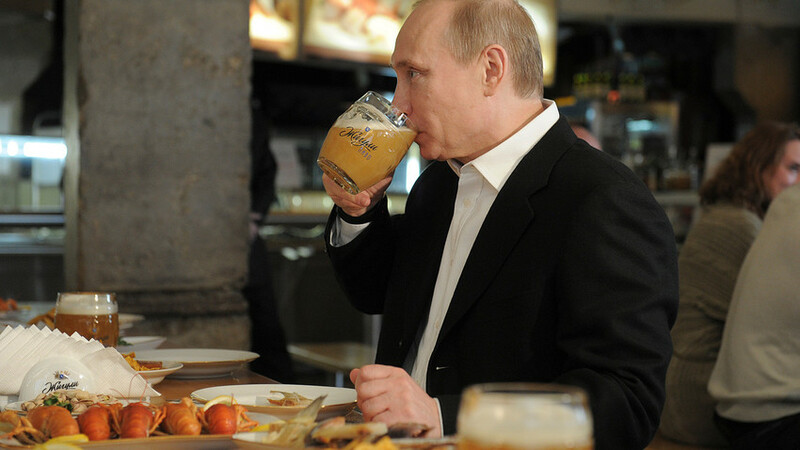 As for restaurants, Putin has a favourite restaurant in almost every Russian city, although he is most often seen at those in Moscow and St. Petersburg. In the northern capital it’s New Island serving Russian cuisine on a boat - which he visited with former German Chancellor Gerhard Schröder, and the Staraya Tamozhnya, also a favorite of Bernadette Chirac. In Moscow: Tsarskaya Okhota on Rublyovo-Uspenskoye highway, a popular venue with the political elite, orShinok’s Ukrainian cuisine. There is also Pivnushka, a restaurant with German dishes and beer which posted a photo of the president on its website to attract clients. Holiday in Siberia: Why Russia’s leader spends free time in rugged places?